Customizing various objects and personal belongings has become a much-loved hobby by numerous people across the world. People try to personalize everyday general use objects that are in large to small sizes exactly according to their style preferences. Vehicles, domestic or commercial window or any other clear glass surfaces can benefit from Window Stickers by Go Stickers that are manufactured with highest quality materials along with nature and industry appropriate designs as well. Our window decals are made of specific objects or surfaces in mind, and we bundle in free shipping and free printing on bulk orders along with no added costs for printing and cutting equipment as well. Vinyl car decals for window or another purpose Window Stickers are the perfect cheapest options when considering personalizing or customizing window in various personal belongings. These custom window decals come in all sizes including the large ones for buildings window as well and smaller ones for vehicle window. Having been manufactured from top quality durable materials and cut in fine detail designs using the most advanced equipment, these vinyl window decals from Go Stickers offer longest lasting quality finish along with the most durable adhesive holds as well that don’t leave residue marks when taken off as well. Being the prime trusted stickers provider in the industry, Go Stickers over the long decades of experience have developed unmatched skills that help us analyze our client’s requirements to the core and deliver Custom WindowStickers that match those exact needs most efficiently. We offer the most precise die-cut designs that are further made beautiful by appropriate and accurate widest color printing in the entire industry. Our color combinations vary from single layer designs to the deepest multi-layered designs that provide the most personalized outstanding finish. Additionally, we offer our personalized stickers products with the most dependable durable adhesives that will last longest on your custom window under most extreme conditions as well. 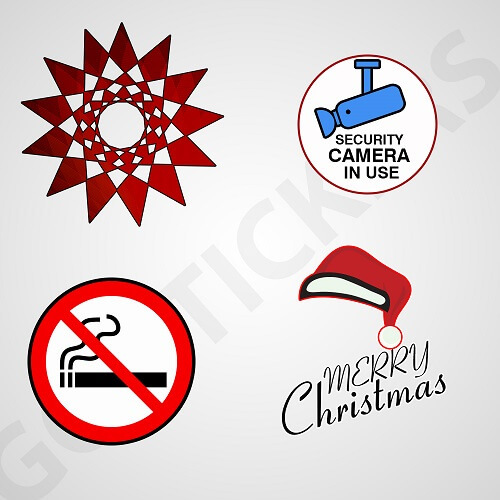 Quite efficient and reliable sourcing and manufacturing channels that Go Stickers have developed over the longest serving time in the industry enable us to deliver the most trusted Wholesale Window Stickers in the entire market. Our accurate and on-time delivery will offer window signs and custom window decals with highest quality materials and most attractive precise printing designs. 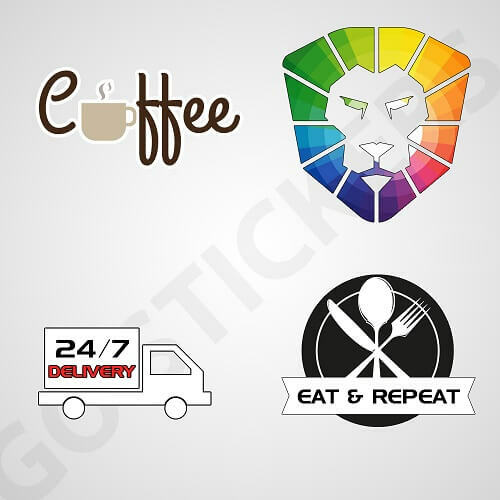 We are the most trusted wholesale vinyl sticker maker in the industry and our cheapest prices along with highest quality materials and finished sticker products is a testimony to our superior efforts. Go Stickers realize the important fact that most Custom Window Stickers are required for outdoor usage or at least their printed side will be facing the extreme outdoor exposure, to make our window decals the most durable even in the intense most extreme conditions, we use only the highest quality composite materials that also ensure top quality finish that will last the longest while looking good as new. Additionally, our high tech cutting equipment provides the opportunity for us to cut the most detailed designs and also offer our clients the opportunity to create stickers of their liking that we will then cut using our advanced equipment. Make your own stickers just the way you want with Go Stickers. Go Stickers make sure to use the highest quality adhesive for our vinyl window inside or outside stickers that guarantee most extended lasting flattest stick for them. We also help our clients design the most appropriate printing patterns and designs for their Custom Window Stickers free of cost that enables their window decals to be the most attractive and exactly in line with the design requirements of the exact surface nature they will be using them on. 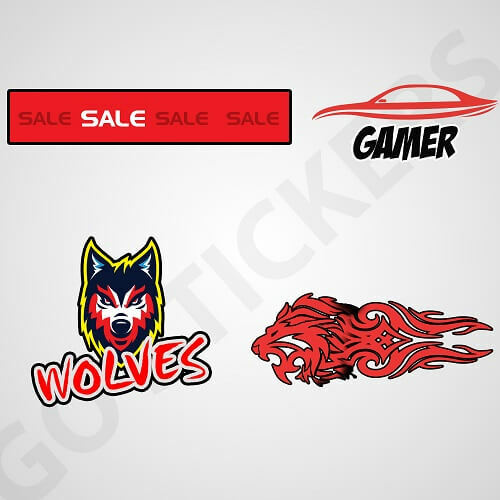 For all the custom stickers retailers out there who also sell Window Stickers to their own end customers and want the most profit margin enhancing cheapest wholesale offers on them, Go Stickers provide the best solutions in the industry. 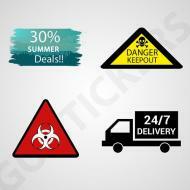 Our sticker products don’t compromise on quality in the slightest bit and yet come at most manageable prices along with unique add-ons like free shipping and free printing. 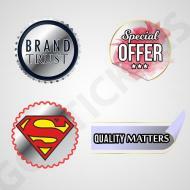 Don’t pay a penny for the printing plates or the cutting die equipment when you do business with Go Stickers as well.